This camp for our youngest art lovers offers an early exposure to artistic materials and youth craft projects. 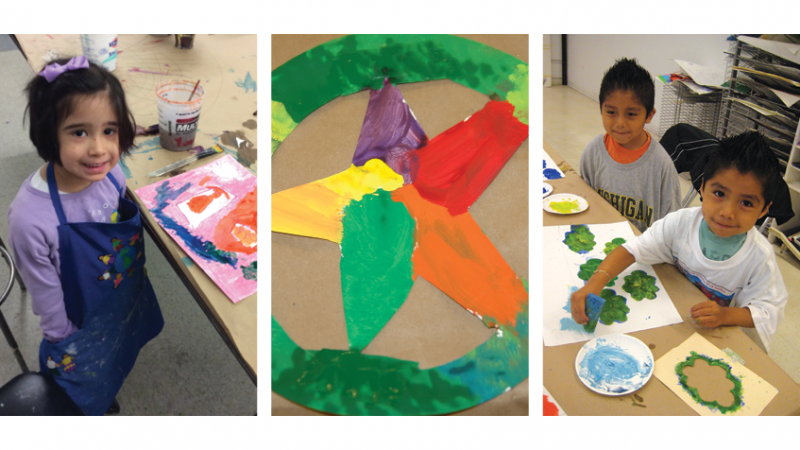 Your little one will become familiar with the foundations of early childhood art-making. Each camp fosters material exploration, visual literacy, and behavioral and emotional development. Skill building: learning, identifying and creating through shapes, colors,. forms and lines; literacy and writing; and art forms including drawing, painting, collage/mixed media, sculpture and printmaking are emphasized. EAC members receive a $30 camp tuition discount. Purchase or renew membership and save! Read about our policies for refunds, cancellations, financial aid, scholarships, and more. Learn more about what to bring to camp.